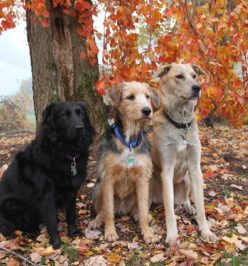 We live on the first ridge of the Watchung Mountains. Of course the Watchungs are New Jersey versions of mountains, which means, really, nothing more than large pointy hills. And one would think, if you live on the top of a mountain (or a large, pointy New Jersey hill), that one wouldn't have problems with water and flooding. One would be wrong, if one thought that. This year our area had a record amount of rain. And sometimes, when you have too much of something, (and in our case, way too much) it's easy to overlook the simple beauty of it. Thus today's post is about water--in small amounts. I find it fascinating that some plants seem to be designed to capture water. You can tell when you see how droplets form on their leaves--or spines in the case of cactus. 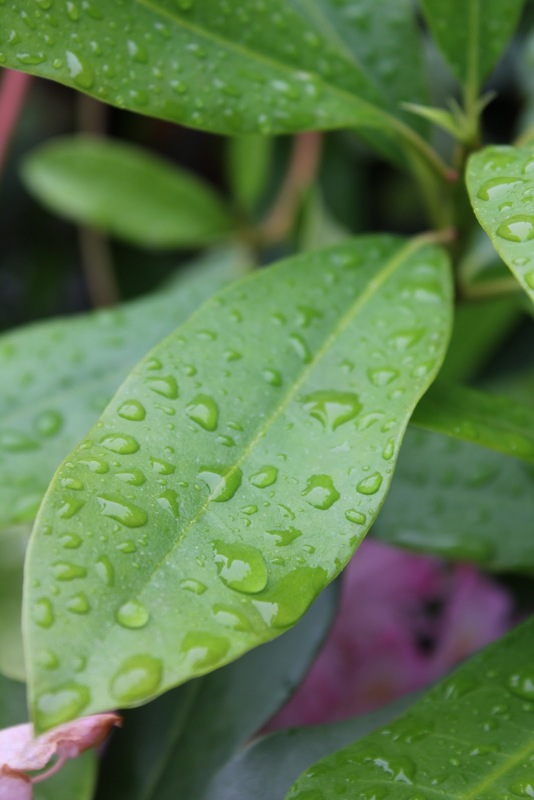 Often this is most obvious not after a hard rain, but after a light misting or in the morning dew. 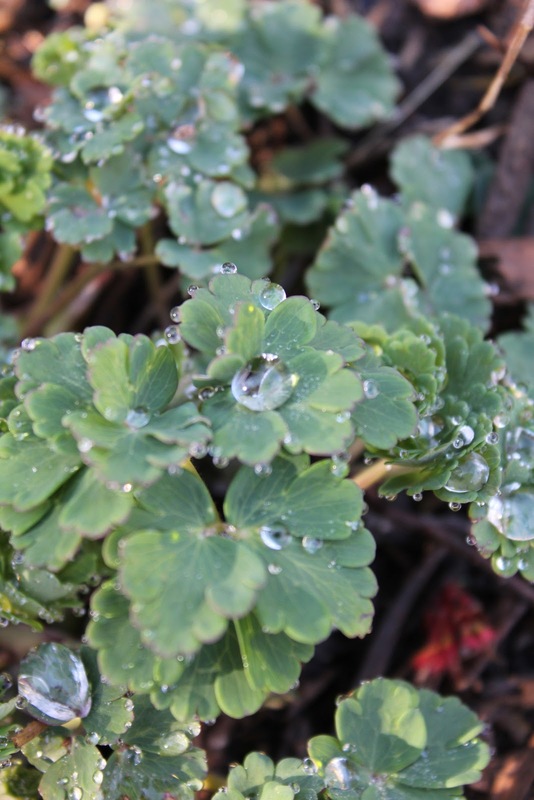 In the spring, the folds in the leaves of Ladies Mantle seem to channel water droplets. In the sun, the drops shine like liquid diamonds. Larger drops of water collect in early spring on columbine. 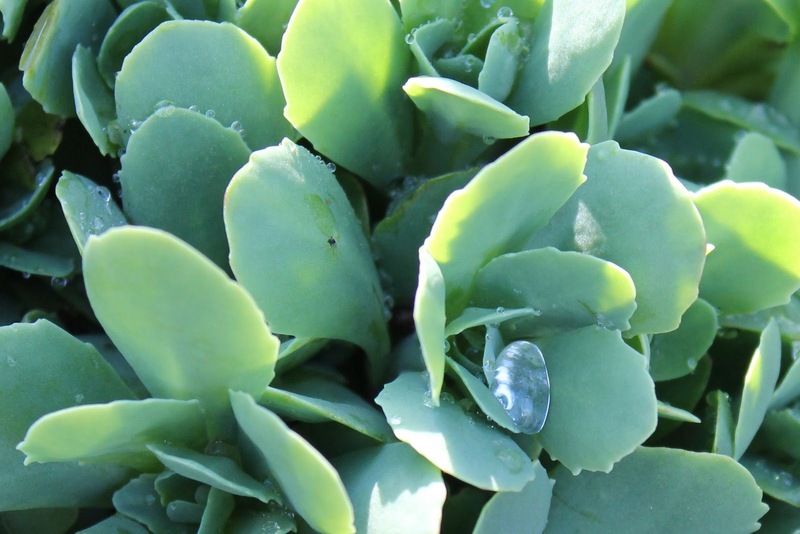 Sedum not only seems to inspire water to coalesce into ever-bigger drops, but if you look carefully, you'll see a crown of droplets gathering on the pointed edges of some of the leaves. Of course, one would expect water to collect on the spines of cactus. If you think about it, the typical shape of a leaf is designed to catch water, allow it to pool in the ridge formed by the spine, and then drip off in to the ground. Here, a rhododendron demonstrates. 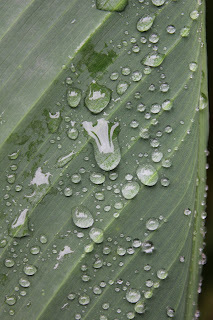 The underside of the large canna lily serves a similar purpose, allowing water to bead up and then drip down. 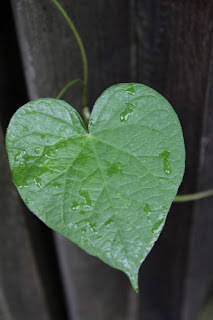 This morning glory's heart-shaped leaf seems tinged with sadness, as it weeps a rainy tear. 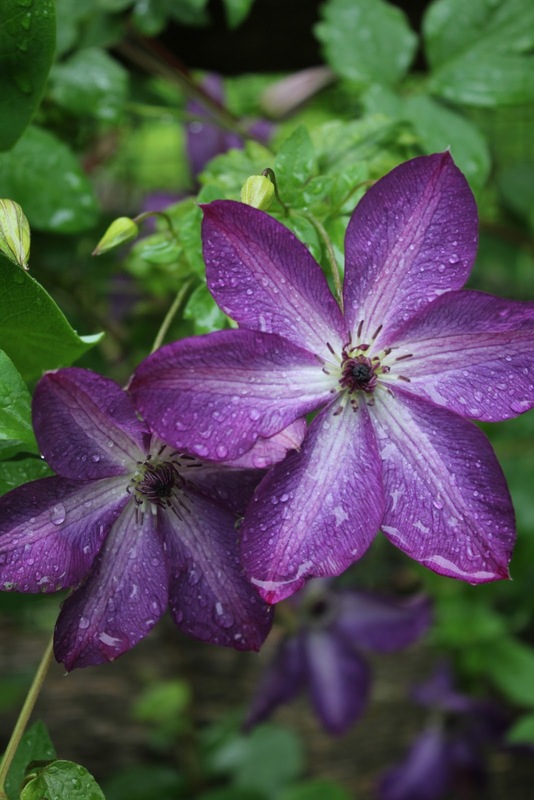 Water on flowers can also be quite striking, focusing the eye, and adding a touch of interest. And again, one can see purpose in the shape of the petals. 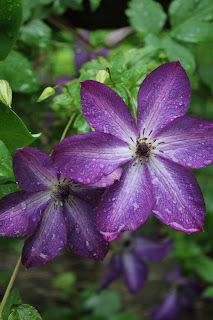 Clematis flowers drip with summer rain. Bright pink vinca colors the droplets of water lucky enough to land on its flowers. The blooms on the purple scaevola also seem to gather and direct water. I marvel at the design of canna lily; water beads up in a unique display that covers the petals. Even mushrooms find a way to collect and direct raindrops groundward. At my house, I'm not the only one who appreciates water wherever it collects. Even though Jasper and Tucker aren't fans of water in large amounts, they do like it under certain circumstances. Lilah, on the other paw, not only loves the wet stuff, but also plays in it, something that Jasper and Tucker may never quite understand. Tucker believes that rainwater tastes best, particularly if your siblings can't get to it. 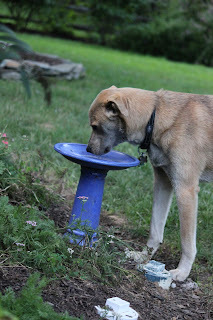 And while Jasper is appreciative of this raised water bowl, he doesn't understand why he has to share it with the birds and butterflies. Lilahfish plays in her pool. She loves to put her nose in the water and run around in circles. Lilah, ever the sloppy drinker, always winds up spraying drops of water, and more than a few land as short-lived sparkly rhinestones on her velvet face.